Micah moved to the UP in 2009 and lives in Houghton with his wife, Molly, and his daughter, Lilia. Liturgical prayer and meditation are Micah’s passions in ministry, and the most important parts of his life are his family and the church. Micah is in the office on Wednesdays and invites you for a visit. Katie has been working at Grace Lutheran since 2009 as the Administrative Ministry Coordinator. She is also the volunteer coordinator of the After School Program. Katie is married to Paul, and they have 3 children: Heather, Crystal and Chance. Katie and her family are active members of Grace, enjoy being outdoors and spending time together as a family. Laurie grew up in Dollar Bay. She and her husband Randy, a Grace member since childhood, made their home in Dollar Bay until moving to Atlantic Mine in 2004. They enjoy spending time with their four grown children and two grandchildren. Laurie was appointed Treasurer in 2012. Emily is married to Gary and is active at Grace with her children, Louis and Pearl. She has been choir director a little over one year and enjoys both rehearsal time and directing the choir on Sunday mornings. She is also a very busy local music teacher. 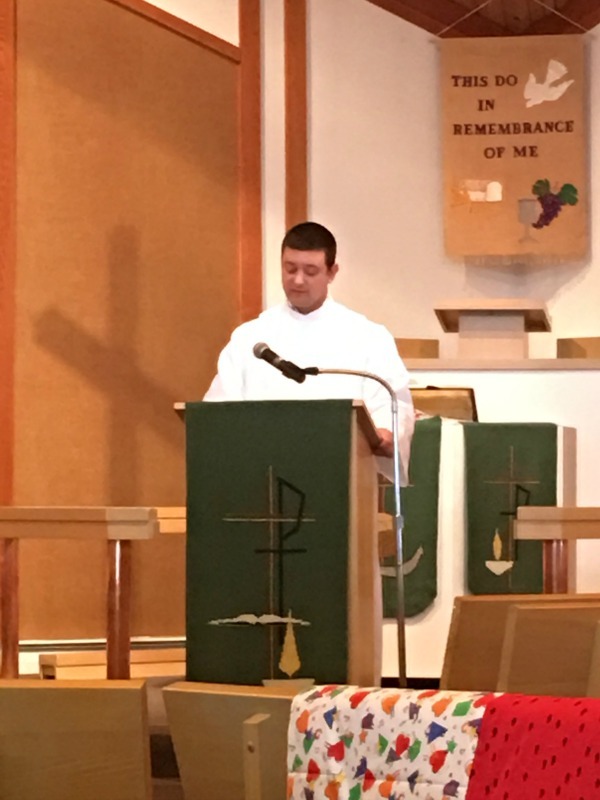 Chance has been working at Grace Lutheran since 2018 as the Custodian. Chance is an active member of Grace. He enjoys being outdoors and spending time with his family.